Experience the difference with our unique Spa & Wellness treatments. Rejuvenate yourself with an energising full body Exfoliation and full body massage. Leaves you feeling balanced and one with the world. Volcanic Ash is nature's natural healer for dry and damaged skin. This very popular treatment celebrates the many benefits of the rich mineral content of natural volcanic ash and clays. Because of these benefits, volcanic therapies have long been used to treat skin disorders such as acne and psoriasis whilst nourishing and healing the skin. This treatment is an antioxidant infusion and the perfect preparation when you want to achieve flawless, even skin. It's also an anti-ageing remedy as it restores skin radiance and elasticity. For your Spa & Wellness we offer unique ingredients for a full body deep massage with therapeutical advantages like volcanic Ash. Hand Scrub is besides a scrub also a hand care cream. 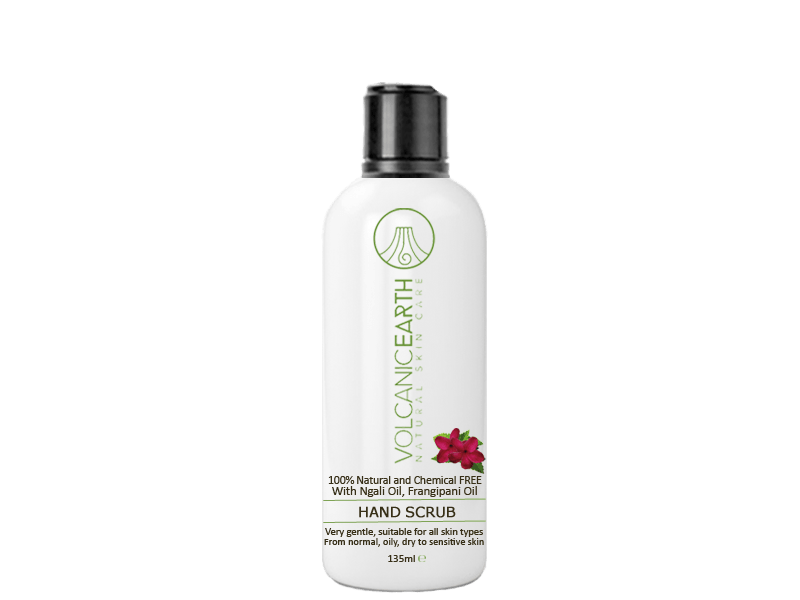 Hand Scrub removes dead skin cells, cleans, hydrates, relieves skin irritations and itchiness. Does not leave an oily residue on hands. Your hands feeling silky smooth. Hand Moisturiser softens, hydrates, nourish, restores the skin and does not make the skin oily. The skin on top of your hands is much thinner, has less sebaceous glands, it can become dry very quickly. Repeat application of our Hand Moisturiser throughout the day for extreme dry hands. Foot Scrub helps to slough away rough patches of hardened skin, to leave feet soft, smooth. Foot Cream helps to relieve skin irritation, itchiness, skin redness. Soothe tired feed and increase circulation. Hydrates, nourishes, restores your feet to a youthfull appearance. Many active ingredients are found in pure Tamanu Oil™ that explains why Tamanu Oil™ works so well for skin problems and seems to be good for the healing of wounds. One of the components is calophyllolide, what appears to be anti-inflammatory. Other elements of the oil appears to work antibacterial. The oil is also rich in oil and linolenic acids, which moisturize and soften the skin, but does not make your skin oily. Coconut oil is becoming increasingly popular both in and outside of the kitchen. This tropical treasure has remarkable therapeutic properties that have been enjoyed by people living in the South Pacific for a very long time. Besides being a highly nutritious and delicious cooking oil, coconut oil contains properties that feed and moisturize the skin. The scientific community is finally catching up with what many have known for ages, coconut oil is truly good for you. This all natural oil is inarguably the best moisturizer out there. Coconut oil may be solid at room temperature, but it typically remains a liquid in the tropical regions where coconut trees grow. It does not feel sticky or greasy on your skin. 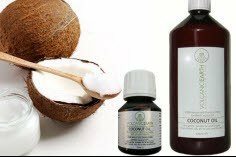 Coconut oil melts on the skin as soon as you apply it, without leaving any kind of residues. It easily seeps into the skin pores, moisturizing deeply and thoroughly. If you have oily skin, you can still make use of the moisturizing effect of this oil. Overproduction of sebum is often the result of inadequate skin hydration; it is body’s own attempt to prevent further dehydration. However, extra sebum secretion can cause skin problems like comedo formation and acne, especially when dry, flaky skin easily forms keratin plugs over the follicles.